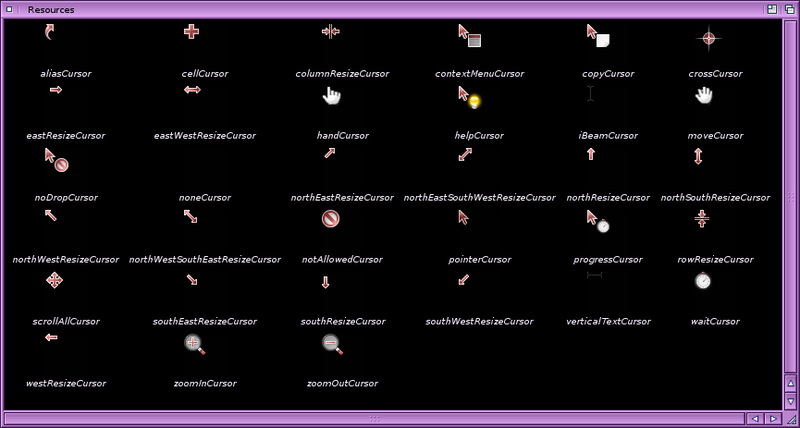 Define and paint a set of new default pointer types, such as default pointers for resizing, zooming, scrolling etc. 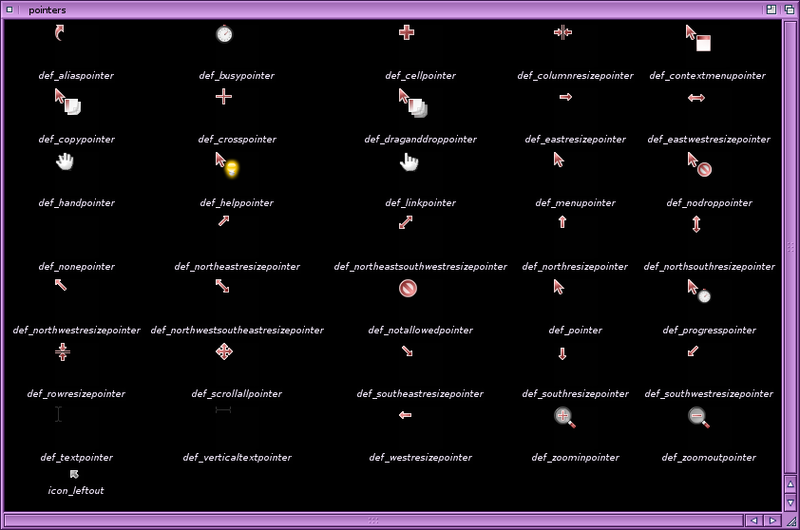 Description: AmigaOS has always just had 2 kinds of default pointer types, the normal one and the busy one. Modern applications are more and more using other types of pointers such as resizing of windows, zooming and text selection pointers. OWB introduced a set of new pointers and the list below is based on them. 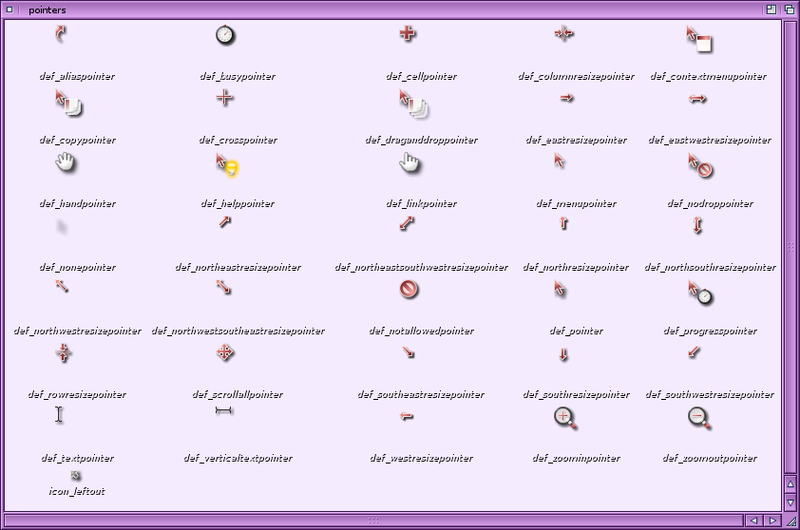 I call them 'pointer' since that's the name already used in amigaos, and I have renamed a few to better signify their use.